Meetings, Incentive, Conventions, and Exhibition (MICE) Industry is a big industry outside of the country. In fact, in Australia it is bigger than other industries like mining. It only proves that tourism has a big potential in stirring up the economy. I guess there is no argument to this conclusion. The problem is doing the necessary actions to really make Tourism, and MICE as part of it, reach its potential. An average MICE attendees will spend 6x compared to a typical tourist. So, if for example, a backpacker tourist spends $100, our MICE tourist will spend $600 during his stay. This is a huge contribution that our government officials must realize. A company or an association that gather for a meeting in a particular country always have attending members that will look for business opportunities. In fact, it is not rocket science but a simple observation because International attendees in a convention and exhibition have higher purchasing capacity as compared to FIT (Free Independent Traveler) tourists. Of course there are exceptions to the rules, if we are to discuss those who are into the leisure and high end travel but that is another point for discussion. In general, MICE has higher value that FIT. 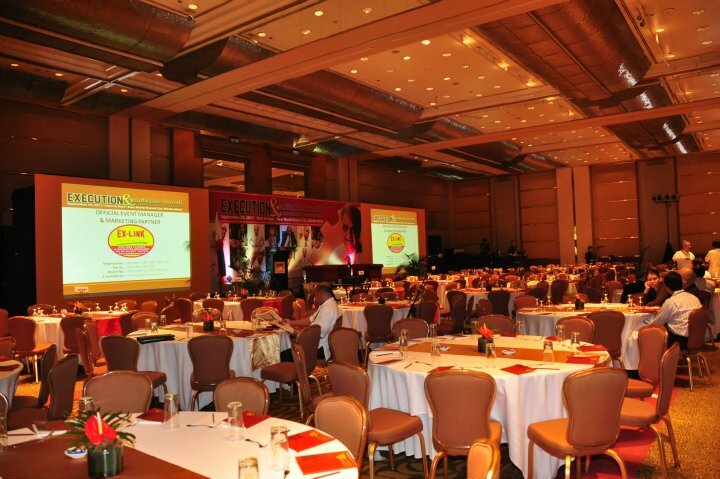 Total of 400,000 conferences and exhibitions are held worldwide every year at the total outlay of US$280 billion. The Global Association of the Exhibition Industry (UFI) points out that as annual MICE industry output value has already reached US$1.16 trillion (including US$400 billion for conferences and US$760 billion for exhibitions), MICE could be counted on to bring enormous economic benefit to the countries and cities that host them. [Department of Investment Services, Ministry of Economic Affairs, Taiwan]. The country that is able to secure an International Convention or Exhibition is indeed lucky. It will not only benefit in terms of economic value but the knowledge and technology transfer that International speakers, participants or exhibitors bring is immense. I remember a story by one of my trainer in Singapore where I took up a MICE Master class; she said she has a client doctor who spends a lot of money in order to win a particular medical event. She asks why go for it considering the financial risks. The doctor just smiled and told her that financial risks is nothing compared to the knowledge and technology transfer that can be gained by the local medical practitioners in the country in that particular field. A conference or exhibition that is International in nature involves Hotels, Airplanes, Buses, Travel and Tour Operators, Production Houses, Exhibition Venues, Catering, Corporate Giveaways, Entertainment, Freight Forwarders, Booth Suppliers and Designers and the lists goes on. This is how MICE create a snowball effect to the economy and industry related to it. In this industry the players compete but collaborate in different projects. In MICE, an entity cannot do it alone and needs a lot partners in order to make a MICE event a success. Every bid won by a local organizer or association makes me proud because I know it will have a positive effect that will redound to our country. I know that if a MICE event is staged well the international visitors that participated will tell their experiences to their countrymen and the cycle starts all over. Another MICE event will again be staged in the country, all because of the past successes fellow local organizers or associations performed. This is a simple case of word-of-mouth marketing or creating a purple cow in the midst of all the white cows. A country that has a positive international image will attract investors and a lot of opportunities that will be felt by the people that comprise that particular country. It is also a source of pride for the people of that country. One example, maybe ambitious, what will you feel if we won the bid for the Olympics? I hear gasps and revelries and emotions that you can only see from a person that won a lotto draw. Precisely, that is the feeling that a won MICE bid gives to the country and the people that loves the country. MICE have all the good reasons that our country and government must realize and pursue relentlessly.